I am a big believer in staple items in your closet. I believe in dropping money on quality, well made items when possible. This is the purpose behind the purchase of my Frye boots, jeans, and other items I wear day in and day out. When I came across Imogene + Willie back on our roadtrip last November (first in Austin and then stopping by their store in Nashville) I have been dreaming of having purchasing some of their items. The hand sewn jeans are hard to find now a days and not only that they will tailor them to perfection for you. There items are meant to stand the test of time and to be something you forever cherish. I love that idea with clothes and I cannot wait to invest in some of the pieces. So when they launched their Sea of Blue Collection for Spring I was instantly in love. 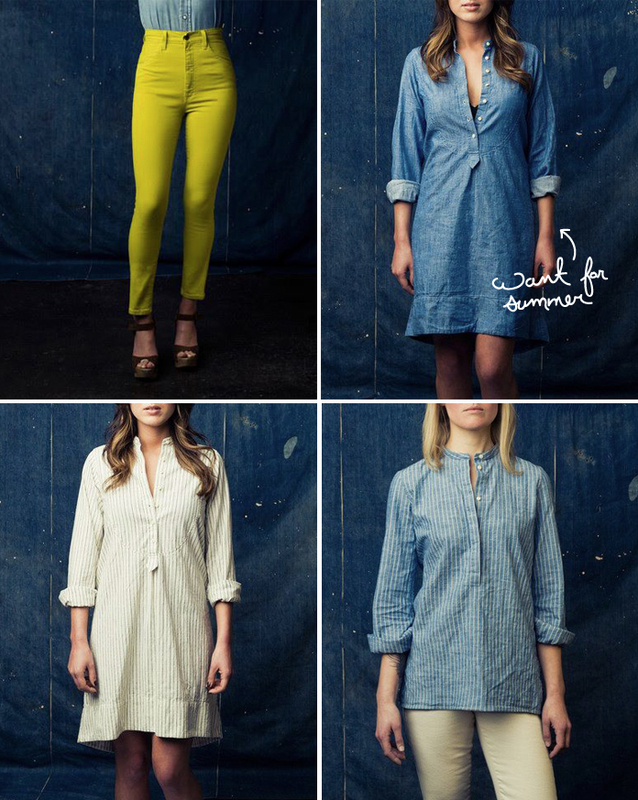 The perfection of the dark jeans and that chambray dress have me wanting to take an extra project this month so I can make a little splurge. Head on over and check it out and seriously check out their tumblr!